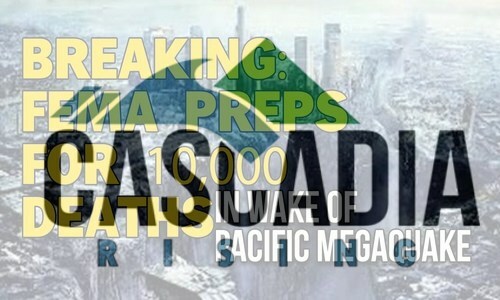 Beginning in less than a month on June 7th and lasting until June 10th, FEMA and Cascadia Rising 2016 are preparing for a devastating earthquake followed by a tsunami on the Northwest Coast of America that has scientists and other experts asking not IF it will come, but WHEN it will come. 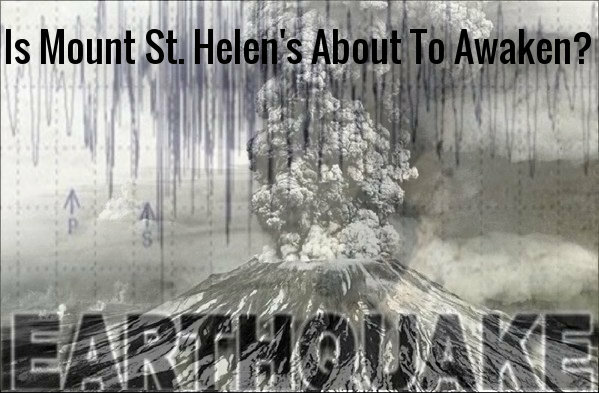 As we learn from Gary Franchi of the Next News Network in the 1st video below, FEMA is also now preparing for 10,000 deaths along the Northwest Coast of America in the region of the Cascadia Subduction Zone due to the quake and the resulting tsunami. 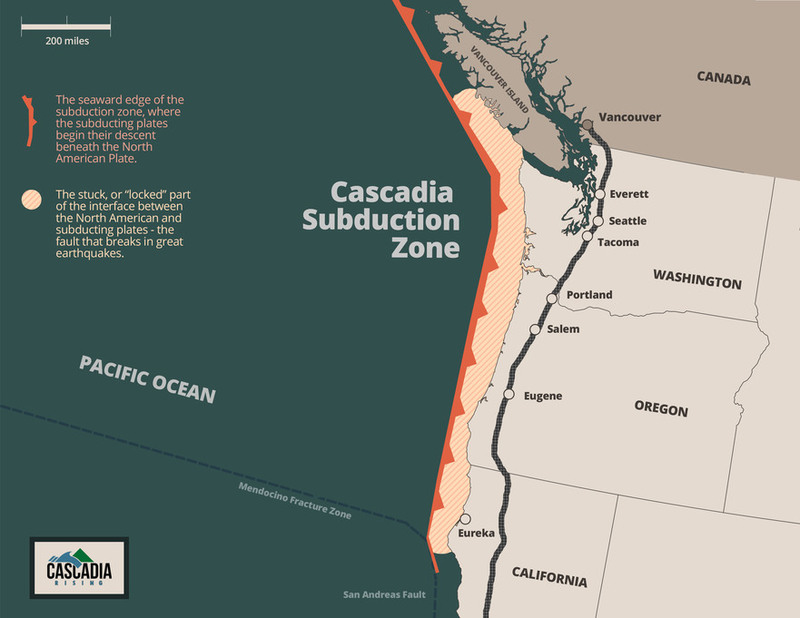 We're told that Cascadia Rising will be the most complex disaster scenario that emergency management and public safety officials have ever faced and the drills will feature preparation for a 9.0 magnitude quake along the Cascadia Subduction Zone and the resulting tsunami that experts believe will devastate much of the Northwest Coast. We also learn below that scientists believe it's inevitable that America will be hit by absolutely monstrous earthquakes, and possibly in our near future, as shared in the linked story from Michael Snyder at End Of The American Dream. Just days ago we learned from scientists that Mount St Helens volcano is 'recharging' 36 years after the most deadly volcanic blast in 'modern' US history. We're told that the volcano's replenished magma stores have been responsible for setting of a series of earthquakes, more than 130 small magnitude quakes since March with steadily increasing frequency. As previously reported on ANP, experts have recently warned that the US is getting ready to rumble with the San Andreas fault area allegedly 'locked and loaded' and ready for action with the 'springs wound tight'. If an event like the ones in 1811 and 1812 happened today, UTM and the city of Martin would not be safe from it. Certainly, buildings would suffer damage. Many would probably fall. People could get injured or killed. There is a high possibility that surviving citizens would be left without running water, electricity, or the ability to communicate via cell phones or the internet. The roads could be damaged by the event, so transportation is not a given luxury. Citizens in need of help might not receive assistance from police, hospitals, or government agencies for a long time, depending on the availability of resources. That is especially true if relief efforts focus on larger population centers than Martin, such as Memphis or Nashville. Because the affected areas were so rural and so thinly populated during the 1811-1812 events, the damage and death toll of the earthquakes were minimal compared with what could happen now. “Very large quakes (8-9 moment magnitude) would be extremely devastating to the point of being ‘catastrophic.’ If the 1811-12 tremors were to occur today, with our increased population, cities, and dependence on technology and transportation, the result would probably be the worst natural disaster in American history. The 1811-12 quakes were felt from Canada to Mexico. We are in the middle of the country, so a quake of that proportion would affect all of the country to some degree, even if they didn’t actually feel the quake,” Gibson said. Will America soon be hit by a devastating earthquake unlike anything that we've seen in this country in years? The signs of impending catastrophe are clearly all around us. With FEMA preparing for a massive quake and the resultant tsunami along the Northwest coast of America, we feel that it's best that we all take similar preparations. Even though preparing for an earthquake involves differering elements than preparing for other catastrophes, food, water and shelter are always top priorities no matter what catastrophe we're preparing for. As Snyder told us in his story, one team of scientists has concluded that giant chunks of the Earth’s mantle are “breaking off and sinking into the planet” under the North American plate, and that this is what has caused some of the unusual earthquakes in the eastern part of the country in recent years. While quite obviously, having food, water and shelter won't protect us from our country breaking apart and falling into 'inner Earth', Snyder reminds us that the chances of that actually happening are rather small no matter how ominous it might sound. Certainly an event of that magnitude would be Biblical and a final, devastating 'sign of the end'.